God's plan to rescue the world has always included you and I working together in partnership in his church. That's why so much of scripture focuses on getting our relationships right and keeping them that way. 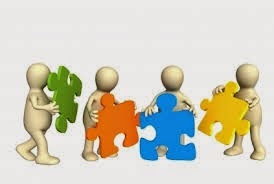 Each one of us has a role to play in God's plan and each piece of the puzzle - no matter how small or insignificant we might think we are - is vitally important. For this reason we have introduced a Partnership Course for those interested in becoming part of NLC. It can be done in one session in an evening or used as a mini bible study over a few sessions. There are many benefits to being part of NLC and we want everyone to be blessed by being with us but a true partner is one who also knows and shoulders some of the responsibilities of church life. This course outlines both the benefits and responsibilities with the biblical foundations that underpin them and identifies ways in which you might choose to serve God and his church. If you would be interested in doing the Partnership Course contact Dave on 01246 200768.